If you read this post earlier…you may notice a difference. The original text is below…so feel free to scroll down and catch up. But I wanted to say a few other things…and share how the rest of my day went. Tonight, I’m feeling completely refreshed. I ran (more on that in a few), I talked with two ladies who really set me straight on a personal issue I’ve been struggling with, and had a reconciliation with a friend with whom I’d had a falling out about a month ago. So the kids and I celebrated with pizza and beer (for me). I do want to talk more about the run today, and some of the things I’m doing while training for this 24 hour monster. I’ve decided to go back to HR training for at least the build weeks of this cycle. And here’s why…I need to keep this easy. It’s the only way to stay upright for this long. I know me. Give me a flat road, and I’m going to want to RUN! But I can’t, or I won’t make it. Here’s my run for today. I ran on the dreadmill…as boring as possible, but it also kept external factors at bay: constant elevation, constant speed, constant temperature. I didn’t use the fan. Oh…and I didn’t eat or drink once I started. Ultra pace = (Slow-as-sh*t + 30sec) per mile. I’m trying to accomplish two things here. First, I’m training my body to learn my race pace and keep my HR low while doing it. Did I really use the above calculation? No. But I’ll tell you how I chose a race pace when I cover my goals. Second, I’m teaching my body to burn fat, instead of ingested calories. Believe it or not, this is possible. Will I eat during the race? Of course. But I’ll be doing this workout (in a controlled environment) each week without food or water. Of course, both are easily accessible during my run, and I’m watching my HR like a hawk. Next post should cover race goals. Look for that in a few days! Here’s the original post from this morning if you missed it. My recovery time is over…back to a regular running schedule (I use that term VERY loosely!). I know. I have a million viable excuses to not train this week. I ran 50mi just two weeks ago. It’s hot and humid…even before sunrise. I have a million things to do around the house, and to get ready for the upcoming school year. I need a job. I’m stressed. I’m tired. But I need to run! I took two easier weeks after the 50 miler. This was especially tough, as I had no lingering pain and zero muscle soreness. Zero. Simply amazing what the body can do if you slow down and you do the right training! The first week I didn’t run on any consecutive days, and staggered my runs to get two 36hr breaks. I managed 30 miles on my feet, including plenty of walking. The second week, I ran no more that 2 consecutive days without taking a rest day. I went back to my hour long runs during the week, and put in 40 miles. But now that time is supposed to be over. My resting HR is still in the normal ranges, but this heat and humidity is zapping all of my energy. I feel terrible…like a slug…a wuss. I’m going to work on a few things starting today. I’m going to wear my HRM during all my runs this week, just to see what’s going on. Maybe I’m pushing too hard. Maybe not. I need more data. I also need to increase my hydration just a bit. I’m not super thirsty, but I know I’m going to lose a ton of water in sweat the minute I step outside. So a little preventative maintenance there. And I hope this feeling passes. 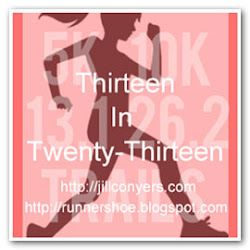 This entry was posted in Training Tools and tagged heat training, hydration, Running, Tired, ultrarunning. Bookmark the permalink.